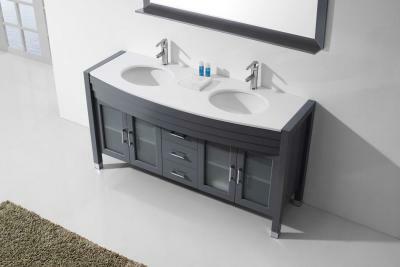 There are many options of bathroom vanities with sinks in the market. You can also find vanities without tops and customize them to your liking. You can pick out the faucets or counter top to match your style and decor. Choosing the right sink for your vanity can change the entire look of your bathroom as the different types can be very distinct. Usually people decorating their bathrooms fall into either contemporary/modern, transitional or traditional styles. It is no doubt that currently contemporary styles are very popular. 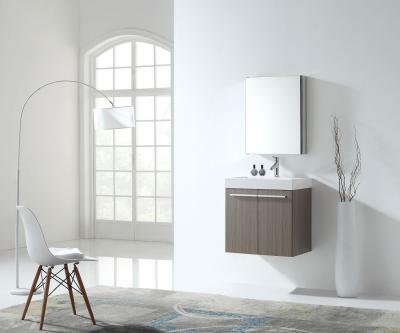 The clean, sleek lines and minimal aesthetics are extremely popular in not only the bathroom but for practically all types of rooms. 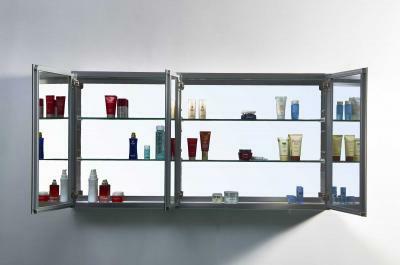 Medicine cabinets provide you concealed storage and usually placed near your bathroom vanity. 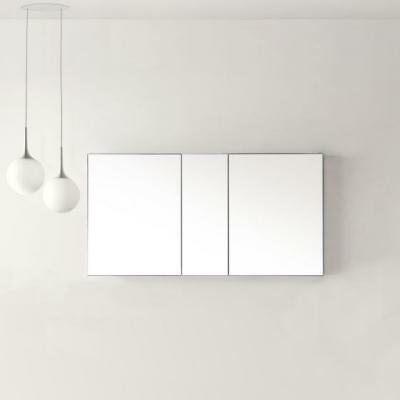 These hidden cabinets are very practical and also very functional for your bathroom decor. Regardless of the season, cleaning out your mirrored medicine cabinet should be on your monthly maintenance of to-do items for your bathroom. Many people who are doing spring cleaning sometimes overlook cleaning the cabinets in their bathroom. 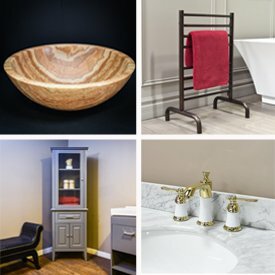 Should You Buy a Cheap or High Quality Bathroom Vanity? A bathroom is a room that sometimes gets overshadowed during the remodeling process. However, the bathroom is usually the first and last place you go to during your day. Should you opt for a cheap vanity or high quality one? 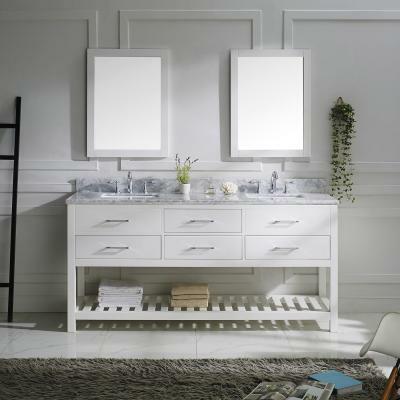 The best deals on double vanities by Virtu USA are here. 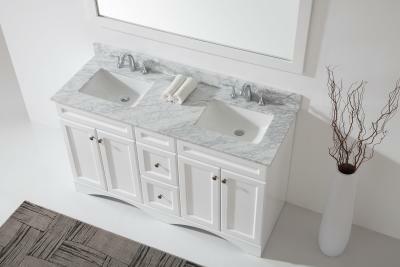 Double vanities are great for medium to large master bathrooms. If your household has a lot of people living in it, double sink vanities are great for those mornings where everyone is scrambling to get ready for work or school. For small bathrooms, making the most of your available space is very important. It is even more important if you have multiple people using it each day. You’ll have everyone’s stuff laying around everywhere and optimizing your storage space is crucial. 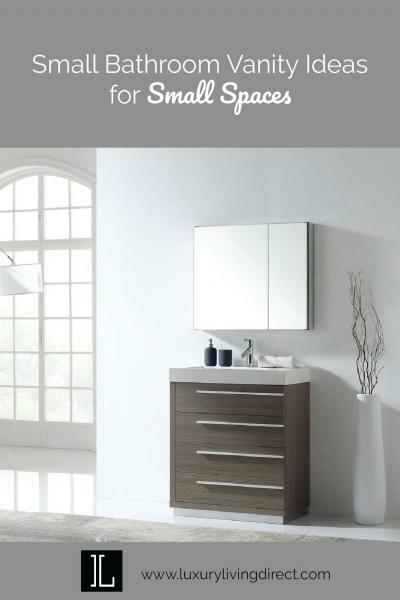 Here’s a few small bathroom vanity ideas that are both visually stunning and provides a good amount of utility with the amount of storage they provide. For small bathrooms, making the most of your available space is very important. If you have multiple people using the bathroom everyday, reducing clutter and finding creative ways of getting more storage are very important. Can't decide on a single sink or double sink bathroom vanity? Learn the pros and cons of each before making your decision. Virtu USA has a huge sale this month and we’ve picked out a few of our favorites. 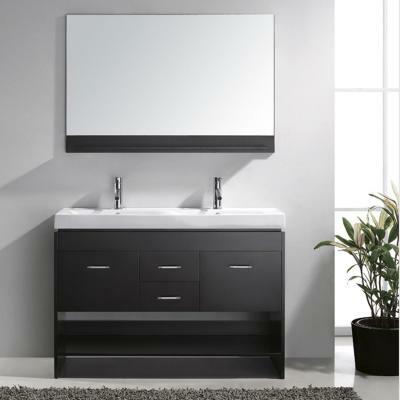 There’s a huge range of sizes on sale from 36 inch vanities all the way up to 78 inch cabinet sizes. 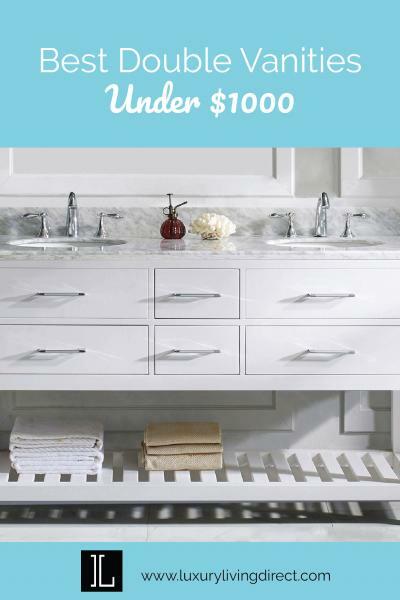 Be sure to checkout the full bathroom vanity sale for a larger selection.